Philadelphia rapper Meek Mill was be released from Philadelphia prison today after spending 5 months in jail for violating parole stemming from a 2009 gun and drug case. 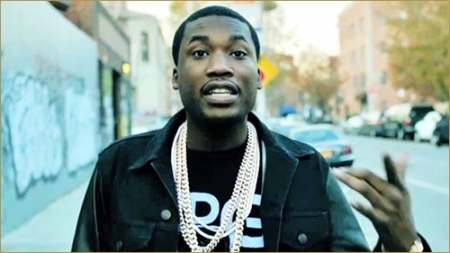 Meek Mill (aka Robert Williams) was ordered to prison back in July by Judge Genese Brinkley for a 3-6 month term. Mill was not working with his probation officer over a variety of things including travel issues related to his touring. He was also seen in a social media post with a gun. Judge Brinkley revoked his 5-year parole just before it expired, and ordered it now to reset. Mill completed three programs while incarcerated: drug treatment, anger management, and parenting. He must complete another treatment program and community service before the judge will entertain motions on lifting travel restrictions. Camden County Police say the missing 10-year-old boy from Parkside, NJ has been found. Nazir Williams went missing from his home on the 1400 block of Ormond Avenue. Police say that he was found safe and sound at a relative's home overnight. Yesterday was World AIDS Day dedicated to raise awareness of the pandemic of HIV/AIDS and mourn the loss of those who died from the autoimmune disease. (RED), which was founded by Bono, engages iconic businesses to sell branded products to raise money, put on a surprise concert in Times Square on Monday evening. Kanye West, Carrie Underwood, and U2 performed for nearly 40,000. Bono, however, recovering from a bicycle accident November 16th could not perform. The crowd got the double surprise of seeing Bruce Springsteen and Coldplay's Chris Martin fill in with 'U2 minus 1'. Springsteen sang "Where the Streets Have No Name" and "I Still Haven’t Found What I’m Looking For" and Martin sang "Beautiful Day" and "With Or Without You."